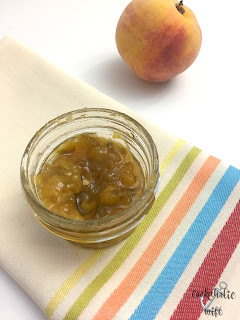 As soon as I received ingredient suggestions for this year and paired them together, I instantly knew what I wanted to make for this month’s ingredients – peaches and peppers. Before Wegman’s came around, I had never heard of a hatch chile before, but after their annual events where they put out stands in the parking lot and roasted the chilies right there, I quickly caught on to the limited time treat and started buying them in bulk so I roast and freeze them to have throughout the year. Of course, I failed to take into account the date that we would be sharing this recipe and when Wegman’s would be hosting their weekend hatch chile event. Unfortunately, this post is about two weeks before I can go buy them in bulk and with my freezer stash depleted, I had to opt for the canned variety of hatch chilies, which is still delicious and turned out great. I do enjoy canning and have slowly acquired all of the supplies I need for it, but it is a time consuming process and in the summer the one thing I’m rather short on is time. I’d rather be outside or anywhere but in my kitchen over a stove. The best thing about this recipe is that you don’t need to go through the canning process or even use pectin to hold the jam together. It’s a quick jam heated up on the stove top that will keep in your fridge for a week or two. For a longer lasting jam (good luck with that! ), you’d need to follow basic canning procedures. 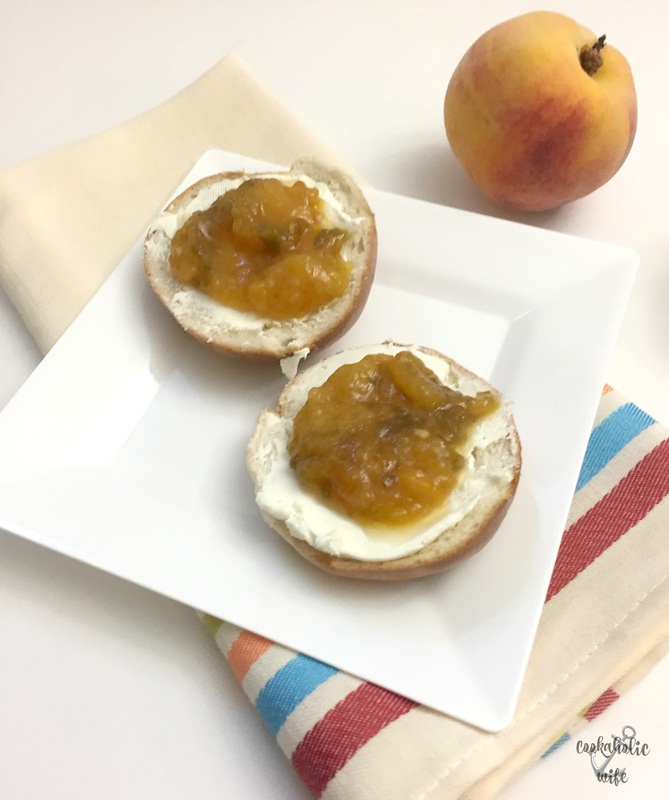 August is the best season for peaches and hatch chiles so why not pair them together in this quick jam recipe? 1. Peel and slice the peaches. 2. Add peaches, sugar and hatch chiles to a medium saucepan. Pour water on top and heat over medium high heat until boiling. 3. Reduce heat to a simmer and allow to cook for 30-40 minutes or until all of the water has evaporated and mixture is thick and jelly-like. 4. Use a potato masher to break down the peaches into small bits. For a smooth jam, transfer mixture to a food processor and process until smooth. 5. Store in mason jar containers or a glass container in the fridge for up to 2 weeks. If you follow the process for preparing the mason jars for canning, this recipe can be stored in the pantry or fridge. As a quick jam, those steps were skipped which reduces the shelf life to 2 weeks, refrigerated. If you have fresh hatch chilies, feel free to substitute them in this recipe. I used the medium heat level chilies and this was just perfect. If you aren’t a fan of spice, choose the mild variety, or if you really love heat, use the fire spice level! Spread on toast, on top of a bagel with cream cheese, over chicken or pork, right out of the jar on a spoon…the possibilities are endless for this jam. 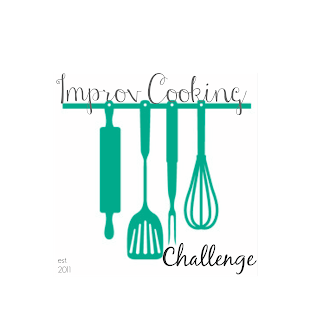 Improv Cooking Challenge is a group of bloggers who make a recipe using assigned ingredients each month. Participants are encouraged to think outside of the box and use any variety of the ingredients available to them. If you’d like to join us, click here for more information, or visit our Facebook page. To check out what the other bloggers have made, look below and for previous challenges, check out our Pinterest board. 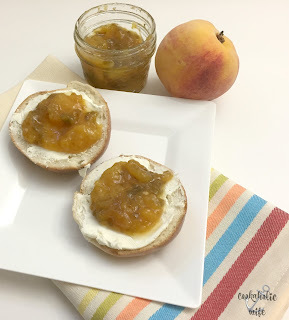 My mouth is watering at the mention of this beautiful jam! I lust after Hatch chiles and using them to make this jam just elevated it to stunning! Never made a peach jam before – quick or otherwise… I can see that must change IMMEDIATELY! Thanks for the delicious-looking recipe, Nichole.